This year, a bench joins the Wooster line for Very Wood. 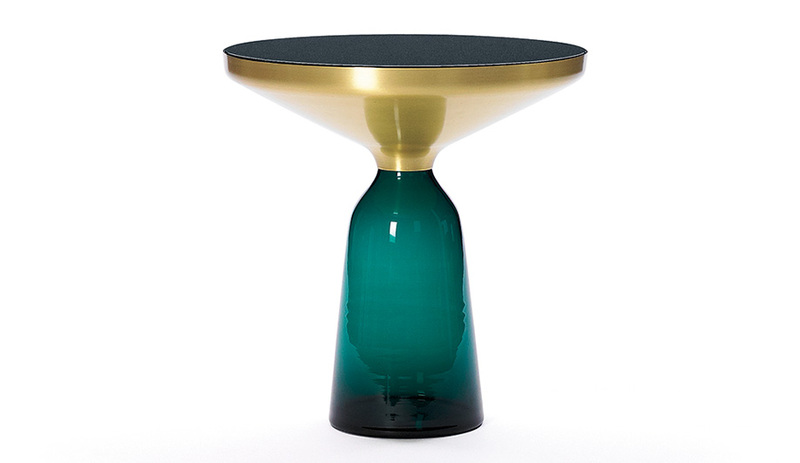 The award-winning Bell Table, for ClassiCon, features a hand-blown glass base and a brass top. 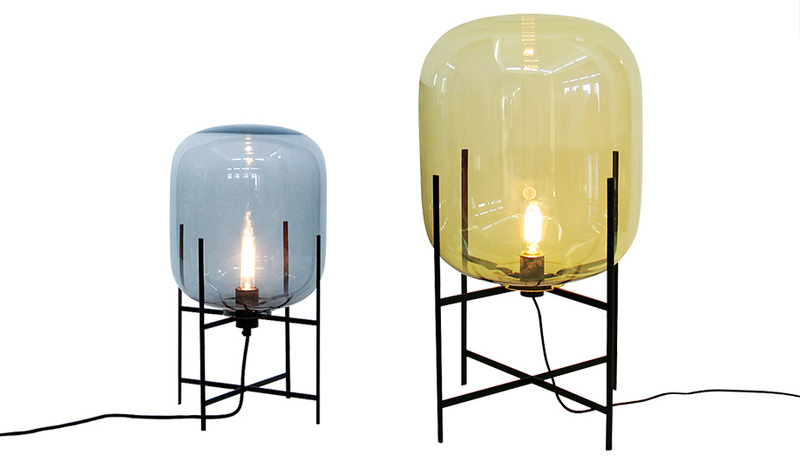 One of the designer’s new series, the Oda lamps for Pulpo, are inspired by water towers. Patrizia Moroso discovered the one-time Stella McCartney intern – and his multi-hued Bask collection of paper yarn and metal wire baskets that double as tables – during Milan Design Week in 2010. Since then, Sebastian Herkner has been going full speed. 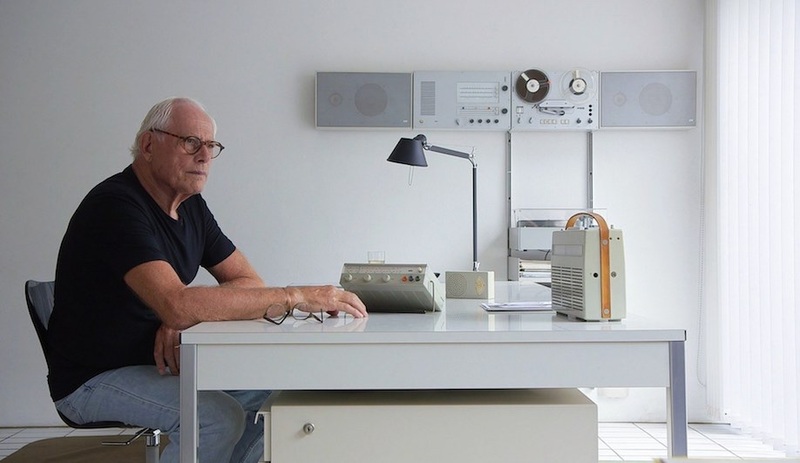 Working out of a small studio in Frankfurt, Germany, he now collab­orates with such top European manufacturers as Gubi, Rosenthal and Very Wood, as well as ClassiCon, whose Bell Table has propelled him into the spotlight since it debuted three years ago. We asked the designer how he manages to keep up the pace. You have a wonderful way of mixing materials. How did that evolve? I select many materials when I’m travelling. When I see a new material or colour, I keep it with me. Right now, I’m fiddling with the tab of a Red Bull can. Even this small, anodized aluminum clip can be developed into a new colour or material combination. Working in fashion was also an inspiring experience. Thinking about material combinations in handbags and in shoe design, and how to choose colours, shaped the rules for my current thinking and my design language. We are collaborating with Caesarstone for a slatted bench of solid surfacing intersected by a round wooden tabletop. Hopefully, it will be ready in time for ICFF in May. 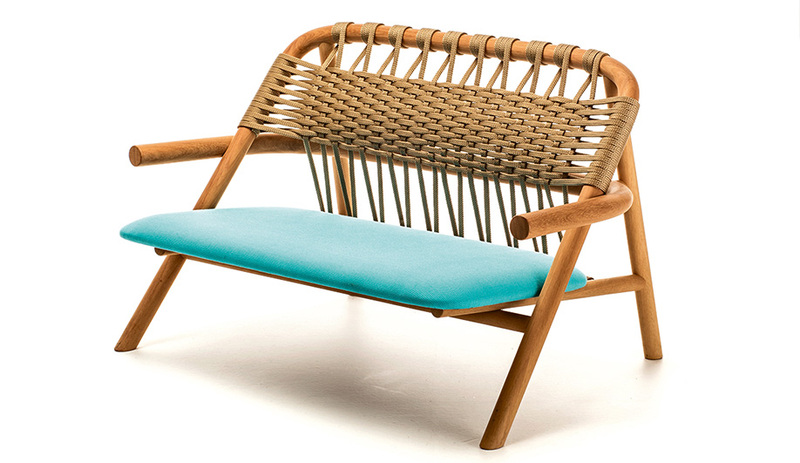 I’m also working on a bistro table and stackable chair, woven in fishing net yarn by African artisans, for Moroso’s Banjooli collection, along with a new sofa; expanding the Wooster line for Very Wood; producing a light fixture for Gubi; and developing an outdoor collection for Dedon. This year for Pulpo, we introduced the Oda lamps, big glass spheres on metal stands, inspired by the water towers in the black and white photographs of Hilla and Bernd Becher. We’re very busy. How do you develop your collaborations with manufacturers? I start with a clear picture of how my work will fit in to the company’s portfolio. I visit the factory to meet the prototyping people, and I go through the archive to understand the company’s approach. 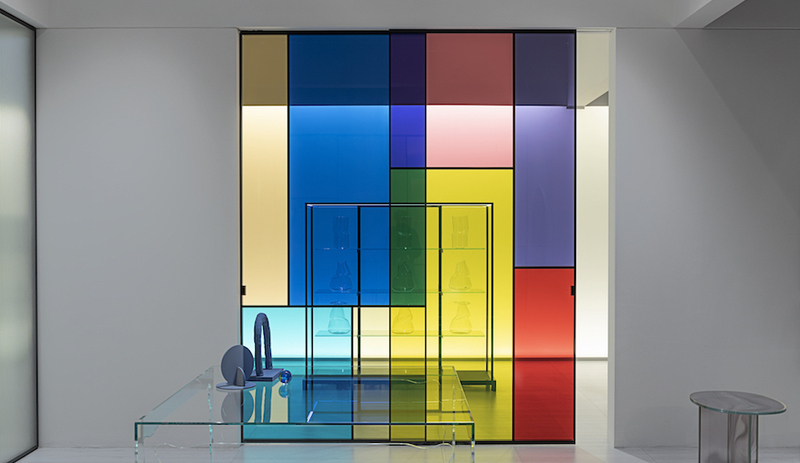 Many manufacturers are interested in my colour and material philosophy, and they start by asking for mixed materials. Sometimes I get a brief, or I think about what is missing in the collection or what kind of project I’m interested in. Then I propose it to them, and it’s like a Ping-Pong game that can take anywhere from three or four months to two or three years or even longer. Your Bell Table for ClassiCon, a Red Dot Design Award winner, is already considered a classic. Are you conscious of designing timeless pieces? 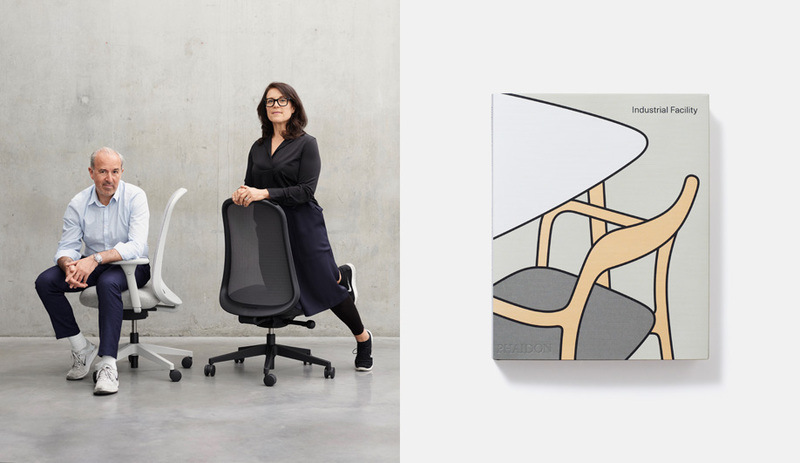 You never know if a product design will be popular and successful. If you knew beforehand, you would just do the same thing over again, so I’m lucky when people say it’s a classic. I always try to create products that will survive, because I don’t want to design things you just buy for one season then throw away. It goes back to the materials: a wooden chair will develop a nice patina from year to year, and so will porcelain, metal or copper. The top of the Bell Table is brass, and the bottom is glass; if it were made of plastic, you would see the scratches right away. Instead, the imperfections, small air bub­bles, show that it’s mouth blown and not an industrial piece. Two glass-blowers always work on it together, because they need a great deal of energy and must switch places often. You need 10 years of experience to blow a piece like this. What three elements influence every one of your designs? Authenticity – real materials. They must also be personal and derived from my own design language. And, there is this very German aspect of function. They need to work well. 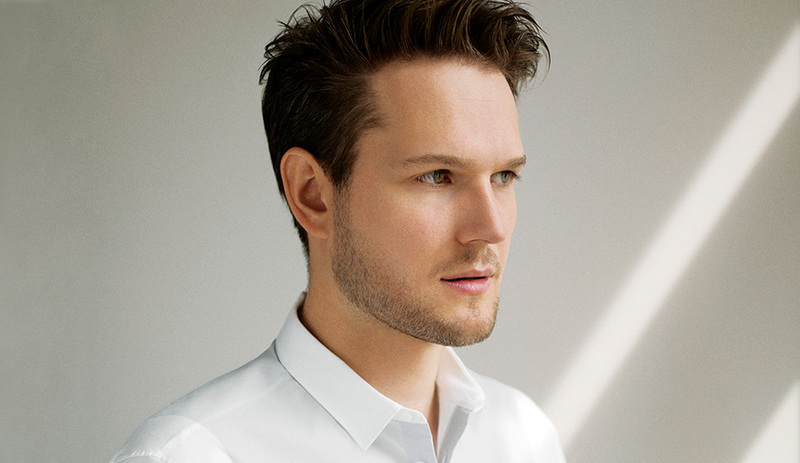 Sebastian Herkner will speak at the Azure-sponsored Trade Talks on January 23, part of Toronto’s Interior Design Show. Avenue Road will also feature his work at IDS, in a booth by the designer.